The two litle lines which come down from your nose. The cardbord box that slides neatly into an exact space in a garage, or the last book which exactly fills a bookshelf, is said to fit “real nice and kentucky”. (Scots) A small tartan pouch worn beneath the kilt during the thistle-harvest. I 2001 døde Douglas Adams av et hjerteinfarkt og det ble ikke flere fantastiske bøker fra hans hånd. 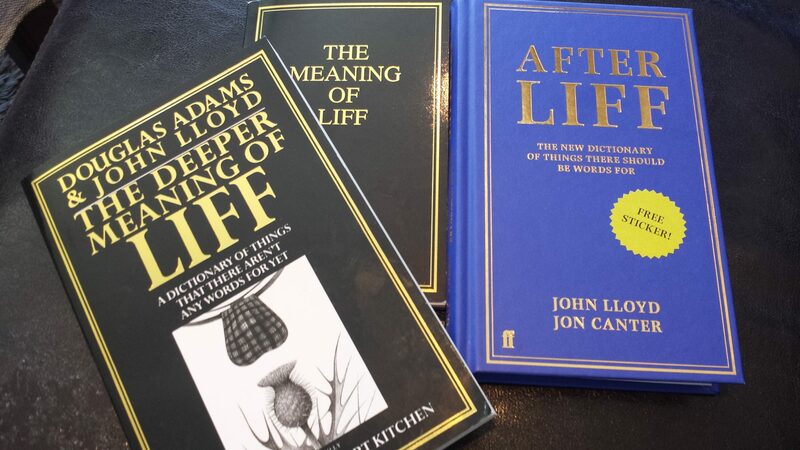 Men mange år senere bestemte John Lloyd seg for å skrive en ny bok som blant annet ville inneholde Liffs som hadde blitt laget i radiokonkurranser, på Douglas Adams nettsted h2g2.com og på Twitter (@ThatsLiff) som en hyllest til Adams. Han gikk sammen med Jon Canter og i 2013 kom boken After Liff (en perfekt tittel). Denne er akkurat lik de to foregående, utenom det at de har tatt med Liffs laget av fans. The latter part of a holiday, when time seems to speed up. 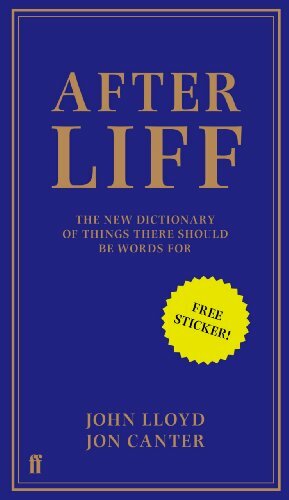 I The meaning of Liff er det et lite forord som jeg vil avslutte med. Det sier i grunnen alt som er å si. In *Life there are many hundreds of common experiences, feelings, situations and aven objects which we all know and recognize, but for which no word exist. On the other hand, the world is littered with thousands of spare words which spend their time doing nothing but loafing about on signposts pointing at places. Our job, as we see it, is to get these words down off the signposts and into the mouths of babes and sucklings and so on, where they can start earning their keep in everyday conversations and make a more positive contribution to society. Douglas Adams, John Lloyd, Malibu, 1982.